Very Good. 031228666X ALL BOOKS SHIPPED WITHIN 1 DAY OF PURCHASE! New. Patricia Highsmith reveals her secrets for producing world-class crime and thrillers Num Pages: 144 pages. BIC Classification: CBV. Category: (G) General (US: Trade). Dimension: 199 x 127 x 17. Weight in Grams: 142. 2016. Paperback.....We ship daily from our Bookshop. This is a valuable book for fans of Patricia Highsmith's novels in that it provides many interesting insights into her creative process. 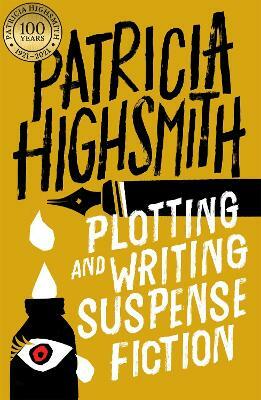 The title is somewhat misleading in that we learn as we read that Highsmith did not consider herself a genre suspense writer, an insight born out by the continuing appeal of her books. She includes many suggestions that apply to any type of fiction writing. The sections about publishing and marketing are, of course, out of date for the aspiring 21st century writer, so much has publishing changed. There are more "complete" how to guides for writing fiction, whether suspense or otherwise. But Patricia Highsmith is such an interesting writer on any subject that this book belongs on a short list of how to books by genuinely creative writers in the last half of the 20th century.